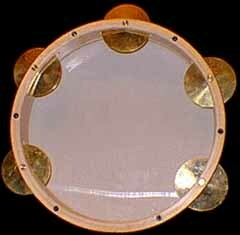 The Brazilian tambourine traditionally used in samba, capoeira, and choro musics. Many playing techniques exist in various regions of Brazil that involve turning the drum with the playing hand while striking various parts of the skin. 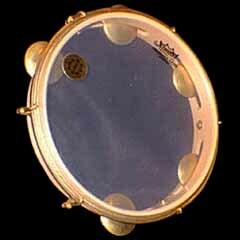 Other techniques involve lifting the drum up to get articulate jingle rhythms. Also pictured here is the Cooperman Drums pandeiro, which features a synthetic head, removable jingle pins, and tuning hardware.